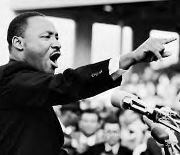 Make Dr. King’s Birthday Worker’s & Poor People’s Rights Day! One out of every four persons in Baltimore City is reportedly living in poverty. Many of those who live in poverty actually work, but at jobs that pay next to nothing. In many cases these same workers are employed by multi-billion dollar, greedy corporations like Wal-Mart and McDonalds.